Whenever I visit somewhere for the first time in Argentina, I automatically think about its most famous residents. 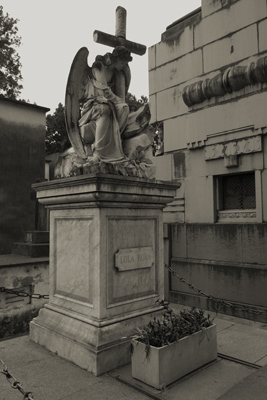 There may be family plot in the local cemetery or more information to add to my Recoleta Cemetery blog. 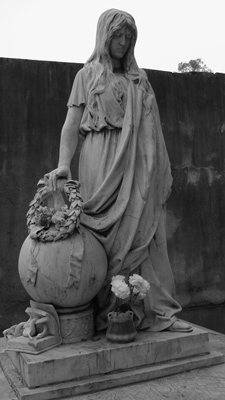 No, I’m not morbid… however cemeteries are great equalizers, filled with history & wonderful architecture. 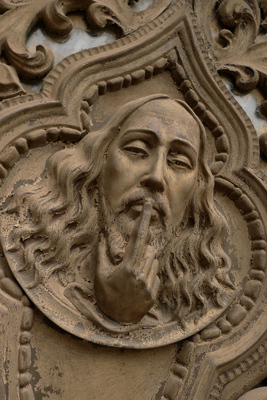 Seeing how people are remembered also helps understand what they represent today. 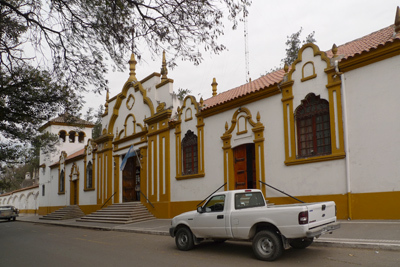 So I began digging into the history of San Miguel de Tucumán. Surely one of the most well-known tucumanos was Julio Argentino Roca. 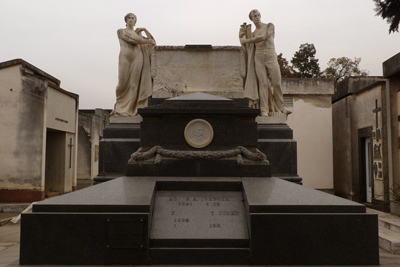 Maybe his family would have an elaborate tomb? Then there’s Nicolás Avellaneda… & of course, Lola Mora. 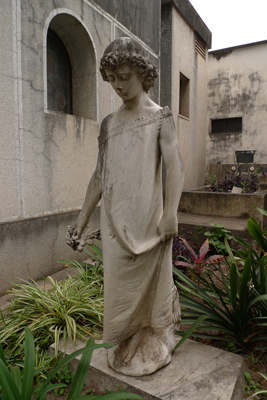 In fact, I wasn’t sure where she was buried. 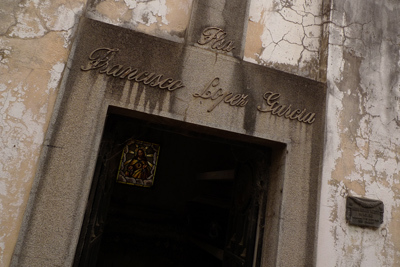 Turns out she has a crypt in the Cementerio del Oeste. How could I not pay my respects? 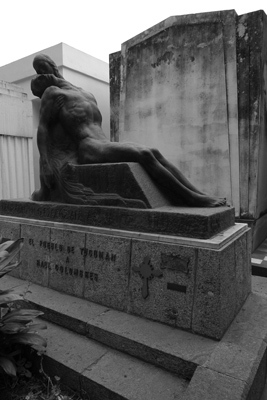 Comparisons to Recoleta Cemetery are inevitable, so let’s get that out of the way. 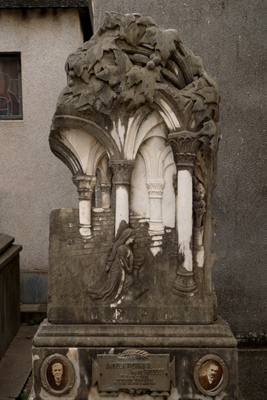 There are fantastic sculptures, larger-than-life mausoleums & plenty of passageways to get lost in. But surprisingly enough, the density is much higher than that of Recoleta. There didn’t seem to be room to fit one more vault in anywhere. Since the land is flat, drainage was built in… but usually covered by benches. Makes a nice addition. 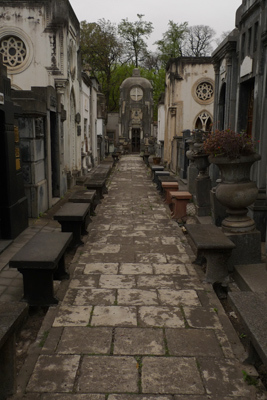 Recoleta Cemetery would be nicer if there were more places for visitors (family & tourists alike) to rest & contemplate the surroundings. After a couple hours, I’d covered most of the cemetery. A couple of guys stopped me on my way out… they were staff members, standing around, shooting the breeze & tomando mate. They asked if I enjoyed the cemetery, what I was doing there, if I was married… a lot of the standard questions :-) Since I was the only tourist in sight, they said I should ask in the Admin office for a map. They were so friendly & genuinely nice… another reminder of the regional differences in Argentina. That exchange would have never happened in Buenos Aires. After surviving the first degree questions again from Admin, I got a map of the cemetery & a ton of other pamphlets. Wonderful. I took another brief walk with the map, making sure I’d seen most of the VIPs. The same guy who gave me the map wanted to talk some more as I headed out. He introduced me to a local guide, we chatted about cemeteries in Argentina & I left with more good feelings for Tucumán.